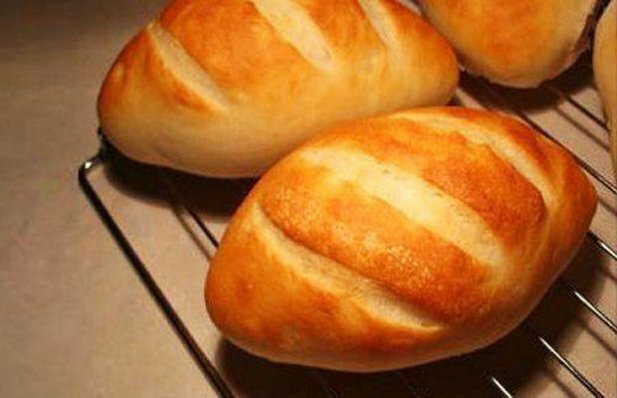 Delicious Portuguese bread rolls. Enjoy them warm with butter, a coffee or tea. First make a mound with the flour leaving a small hole in the center where you should place the warm milk, butter, sugar and yeast. Begin to mix in the center. When the ingredients are mixed start to knead the dough until you have a good mixture, which is not sticky. Let it rest for about 30 minutes, then divide it into pieces of about 50 grams each. Brush the surface of the rolls with a mixture of water and egg and leave them in a warm place for 60 minutes, so that they raise to about double their size. Place the rolls in a preheated oven at 220°C or 425°F for 20 minutes. When you remove them from the oven, re-brush them with milk to give them a nice shine. This recipe makes 15 to 20 delicious Portuguese style muffins (bolo levedo). How to make Portuguese corn bread (pao de milho). 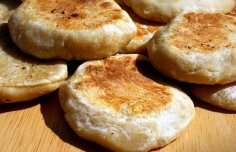 How to make Portuguese buns (papo secos).